to celebrate the start of National Lymphoedema Awareness Month 2015. 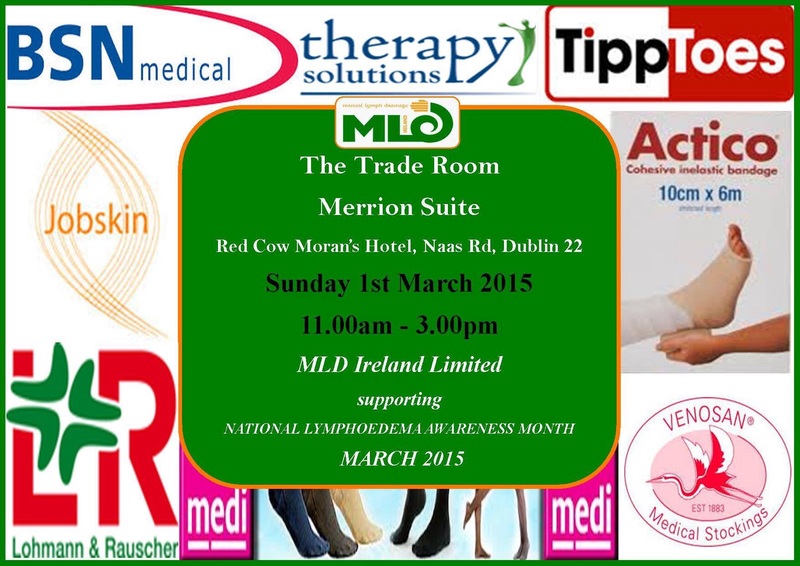 All are welcome to come along and view the best companies in Ireland supplying compression garments, wraps and bandage systems to patients effected by Lymphoedema, Lipoeðema and Venous Insufficiency. Free Admission.